Dear me! I’m rather far behind posting about some of the adventures I’ve been having. I think I’ve just been too busy having the adventures (and working on the farm, and being a big sister, etc.) to post about them. 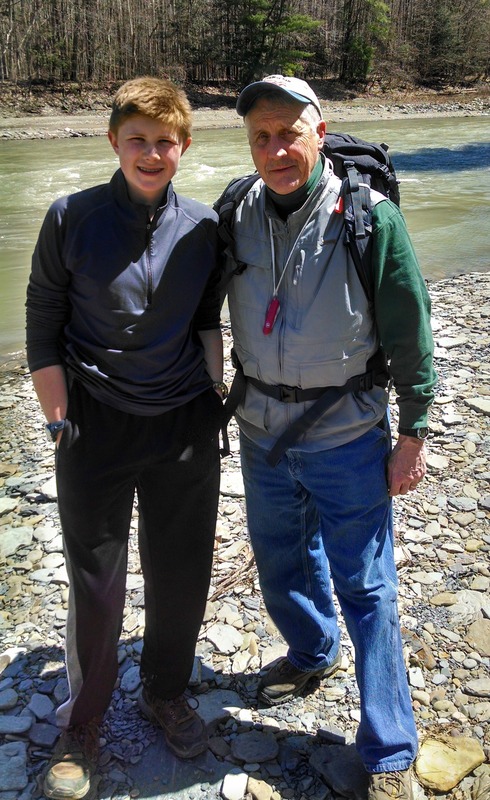 I’ll attempt to post about what I’ve been up to, starting today with a day hike I did in April. 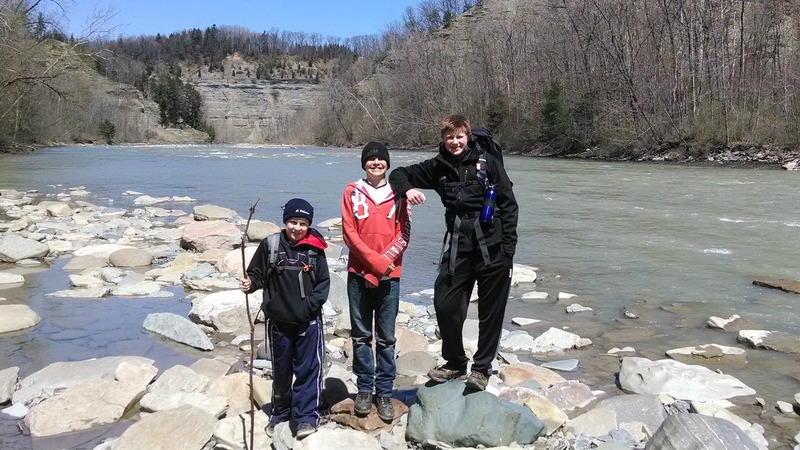 I went hiking, together with two of my brothers (Marcus and Mason), my cousin Christopher, and our family friend Professor Allan, to Valentine Flats, a part of the 3,014 acre Zoar Valley Multiple Use Area. 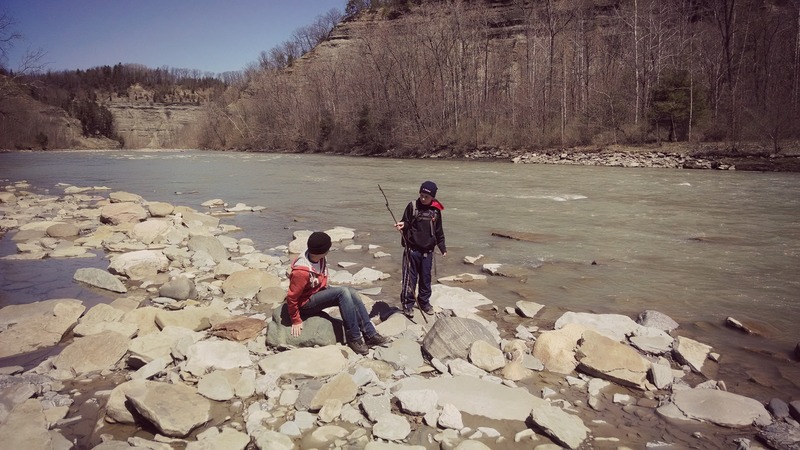 I had never been there before, but after seeing the steep cliffs, waterfalls, and the creek I absolutely plan on going back. 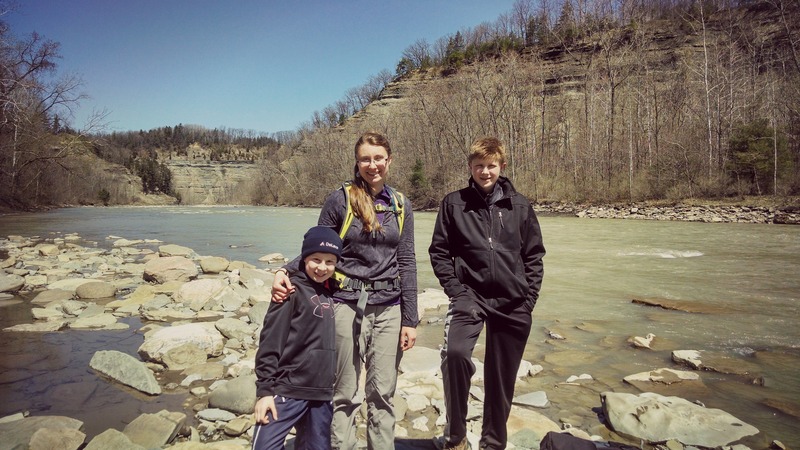 After the farmhouse ruins, we hiked through the woods and flat flood plain to the Cattaraugus Creek. 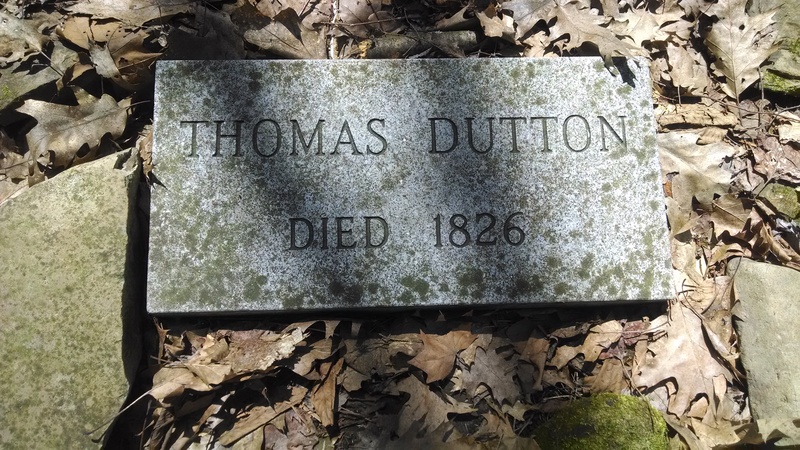 Near the upper end of the flats we saw a plain tombstone marked “Thomas Dutton”. 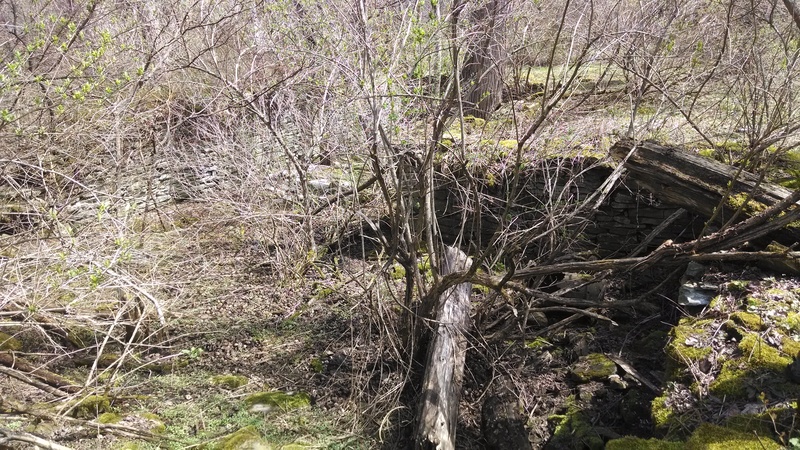 In the fall of 1826, Thomas Dutton was traveling near the creek on his way to Ashford and was, presumably, drowned. 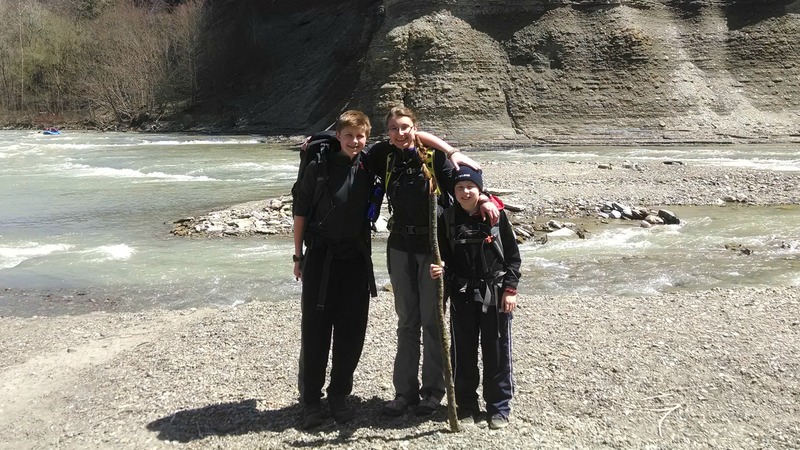 His body was found washed ashore the next spring about 1600 feet downstream. It was impossible for the coroner, Ahaz Allen, to determine, but it was reputed that since the $400 and silver watch Thomas had been carrying were never found he had been killed by a thief. 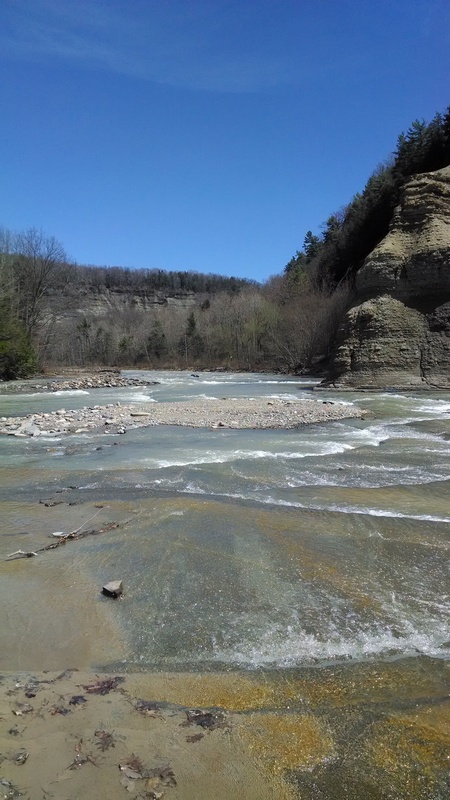 The area of the creek that we saw was at the confluence of the south and main branches of Cattaraugus Creek. 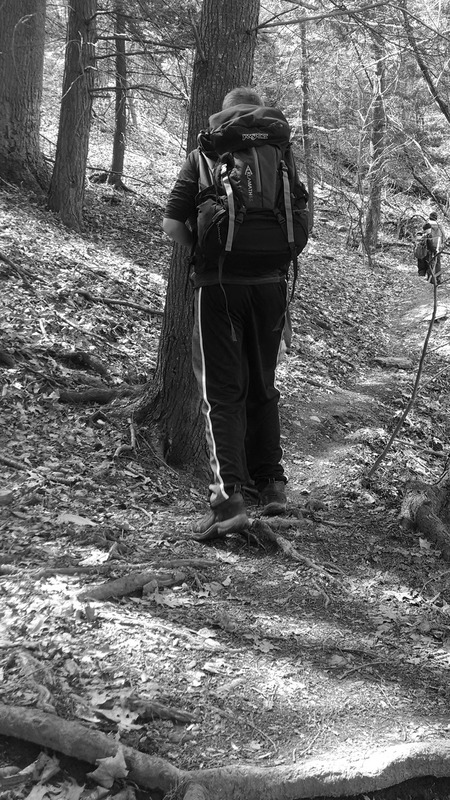 This was the second hike that I used my new Columbia Vixen day pack. I am in love with it and hope to do a review post soon. 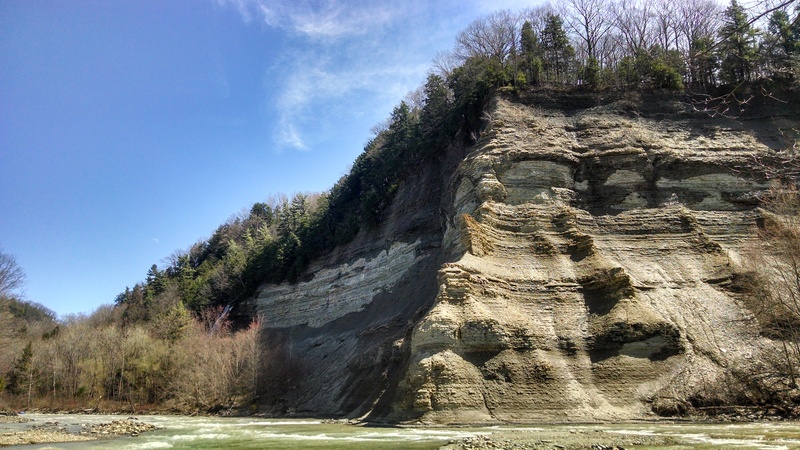 Some of the cliffs in Zoar Valley are over 400 feet tall. 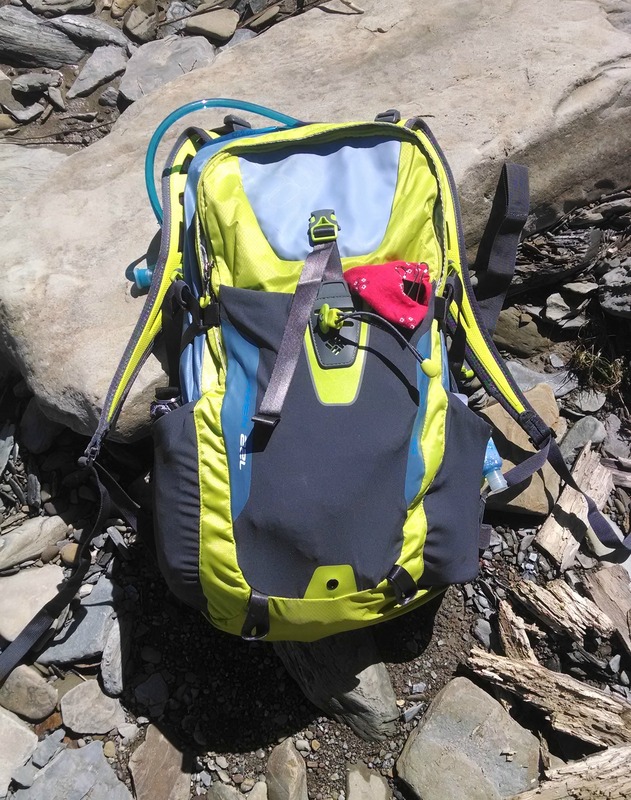 Marcus is going on a week long backpacking trip in July so he wore his new Jansport Klamath pack to test it out. Mr. Allan decided to try it on for size too. 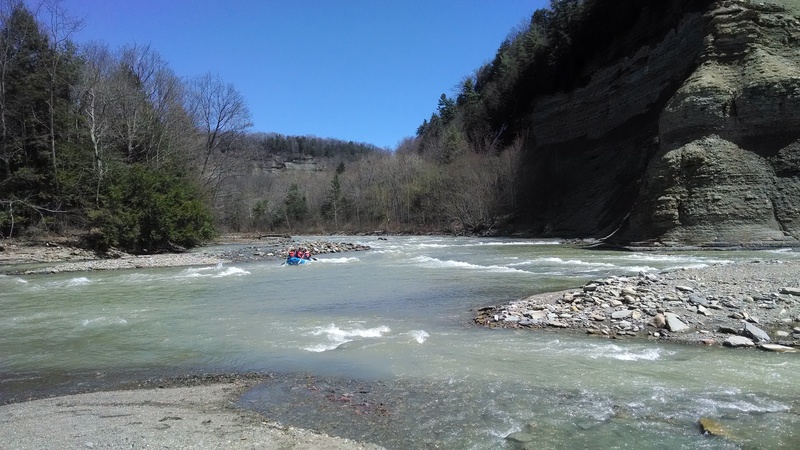 While we were down at the creek we saw a group of white water rafters float past. It looked exciting and fun; I hope to do it some day! 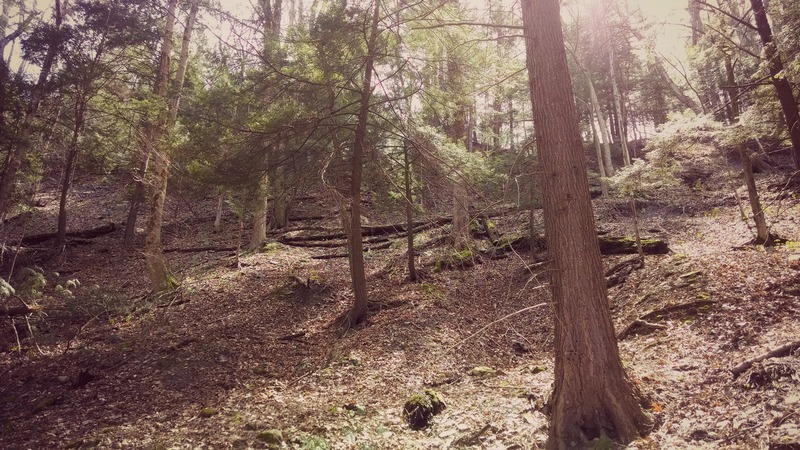 While we were hiking Mr. Allan, ever the instructive professor, amused and engrossed me by expounding on the difficulties the first settlers faced when journeying through these dense woods. He had me imagine what it would be like to be a pioneer wife traveling with my husband and several young children, with all of our scanty possessions in one wagon. It was much easier to envision myself struggling through this arduous terrain when I was actually walking in it myself. How would you get a wagon and ox team down this hill?! 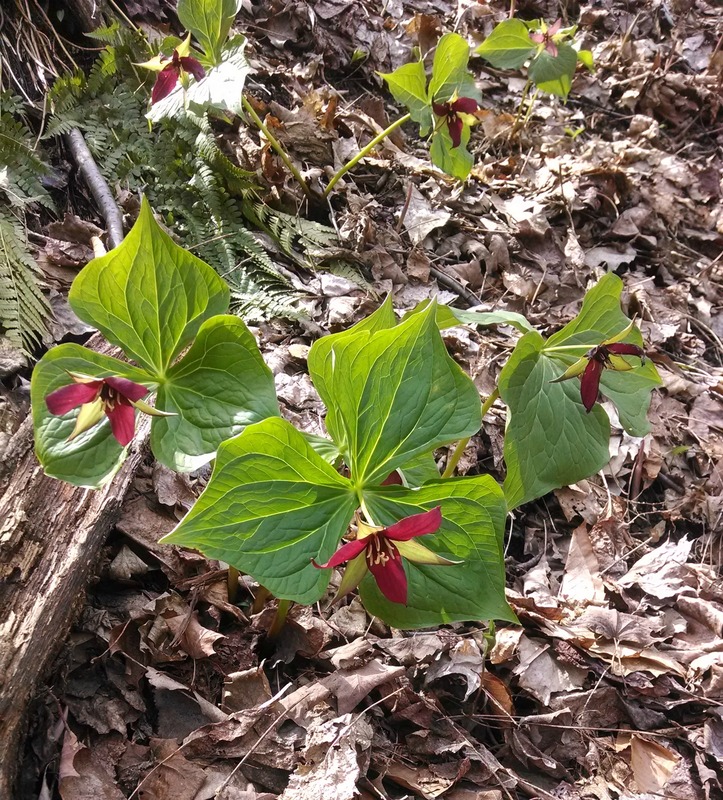 I also noticed these Red Trillium and Coltsfoot blooming. 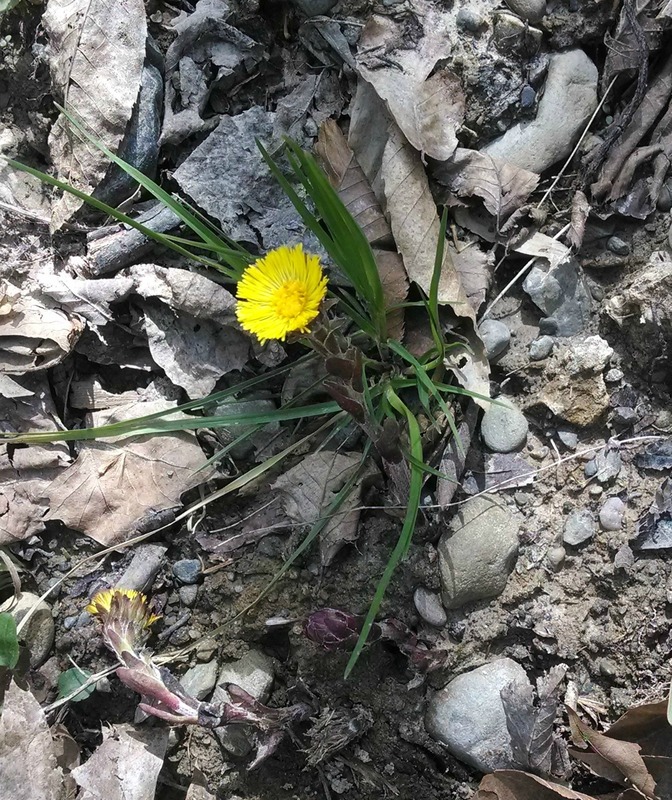 It was so nice to see flowers again finally! I had a great time at Valentine Flats and would definitely recommend the trail to others!